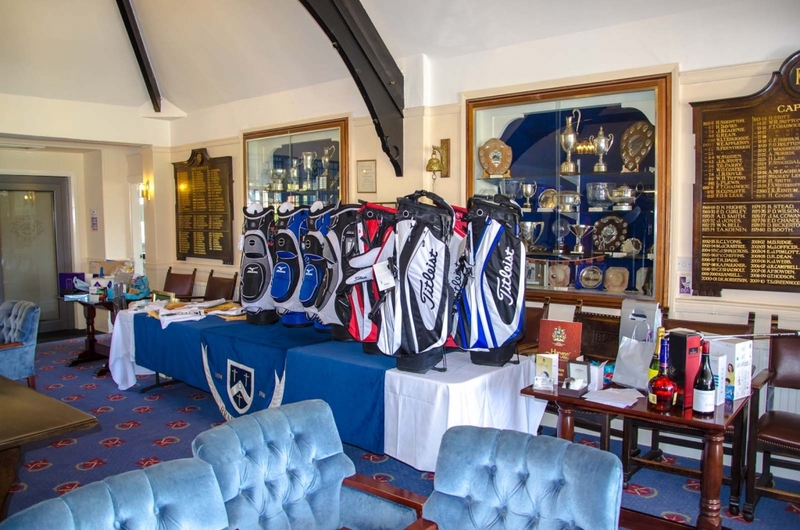 Whether you are a visiting for the first time, loved the course and wish to play again or would like to play in one of our upcoming Open Competitions, you will find all the information you require here. Use the links to the right to jump to the required section or scroll down to view all our playing options. 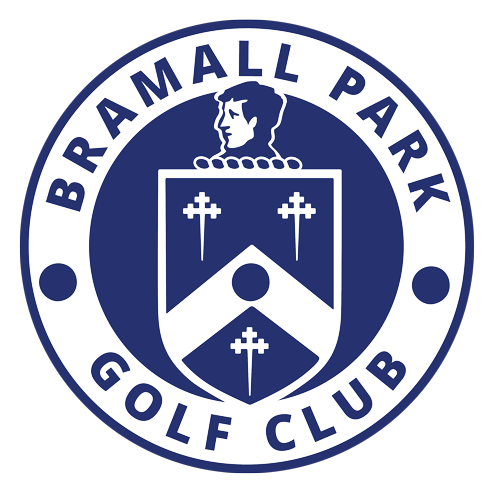 Bramall Park offers a classic Parkland layout with two par 5's and four par 3's and you must score well on the par 3's if you are going to put a good score together. The Front Nine are considered to be the easier nine on the course and with a good score going, you need to hold it together through the "Amen Corner" of 10 through 13 if you are going to finish in the prizes. 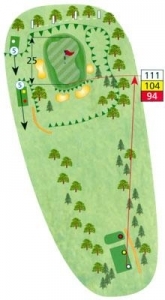 Take a look through the hole by hole tour below and pick where to push or play conservative. Good Luck. A stream dominates the 1st hole, with houses and out-of-bounds to the left and a line of trees to the right. The opening drive must be taken seriously and anything short, will leave a very risky second shot to the green over the stream that runs in the bottom of a gully. One of the shortest par 4's on the course and a real birdie opportunity to get your round going. The tee shot needs to be threaded between the large trees facing you or just power it over the top - left half of the fairway after the trees is the ideal spot for your approach shot up the green. The 3rd hole presents you with a generous fairway protected by a single bunker on the right, but take care with your approach to avoid the dell to the left of the green, making an up-and-down, highly unlikely. A short par 3, and stoke index 18, but the green is protected by several deep bunkers, steep banks and the out of bounds line is only 10 feet from the rear of the green. Another birdie opportunity from this par 4, as the fairway is generous and even a pushed or pulled shot can still have a route to the green. If your tee shot finds the single bunker on the right of the fairway, you can still easily find the green with wedge or 9 iron. The 6th is a genuine par 5 with out of bounds running all down the right. Trees and a pit await the hooked drive and bunkers, left and right, threaten the 2nd shot. The photo looks across the 6th green to the 7th tees. 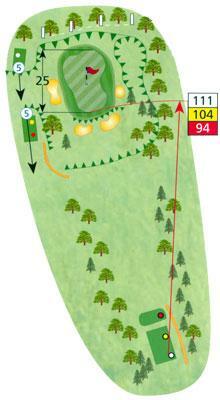 A tricky uphill par 3 and sheltered from the wind on the tee, club selection is important. The 8th brings the stream in to play again, as on the first. Normally played in to the prevailing wind, it may be best to lay up with your second unless you are level or past the fairway bunkers. The 9th presents a relatively easy finish to the front nine but be careful with your approach as anything short will normally kick in to the bunker protecting the front right of the green. A tough start to the back nine and the first of four holes that can make or break your round. Take care with the approach as anything leaking right will be close to out of bounds that runs all the way down the right edge of the hole. Stroke index 1, so another tough hole. Again, out of bounds runs all down the right of the hole and the second shot is played to an elevated green, so anything short will probably not make it up the bank. A tough par three to hit, with bunkers left and right. The green slopes subtly from back to front, so anything past the pin leaves tricky and quick put to make par. Hole four of what some refer to as Amen Corner and a deceptively difficult par 4. The decision is whether to take a driver and go past the bunker or an iron and lay up before the bunker. Be careful on the approach as the out of bounds is just 3 yards over the green. A great dogleg par 5 and an opportunity to attack. A reasonable drive and second shot should leave a short pitch in to the green and a chance for a birdie. The 15th demands a well-struck teeshot that hits the green and sticks. Anything short or right will tumble off downhill into thick rough or one of the very deep bunkers. A great par 4 requiring a straight and well struck tee-shot if you are to reach the green in two. Anything short and left will kick further left or catch the bunker, making a par unlikely. A good tee shot will set you up for another birdie opportunity but trees await left and right for anything slightly wayward. Again, be cautious of going long with your approach as a path and very deep rough are just 3 yards from the rear of the green. A straightforward finish to the round, provided you avoid the bank on the left, the bunker just after the road, the trees on the right - oh, and the trees on the left. Below, you will find details of our standard visitor and guest rates, but check out our special offers or Society Deals, as we regularly offer discounted tee times dependant on availability. You can book a tee time in one of our Open Competitions and pay online, leaving you free to concentrate on your competitive game when you arrive on the day. Choose one of the events below to see full details and purchase your chosen tee time. We welcome societies and corporate groups throughout the year. 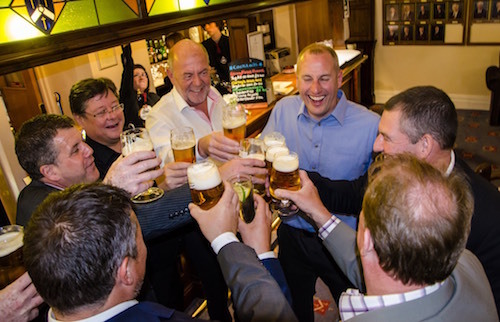 No matter what size your group is, we can provide you a great day out and provide a wide choice of menu, excellent facilities and 18 holes of golf on a well maintained course to ensure that everyone has a memorable day. Our clubhouse and pro shop staff are on hand to assist you and look after your every need. Our club is very popular with societies and you are advised to book early by clicking on the contact us button at the foot of this page. Our society rates can be tailored to your specific requirements, including food and drinks before and after your golf. Please contact the office to discuss your requirements and obtain a detailed quotation. A view of the 4th green from the yellow 5th tee, a very short but tough par 3. Anything off the green is almost certainly a dropped shot. The wall at the first tee.